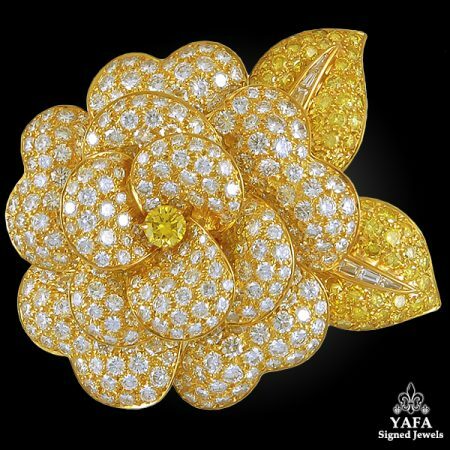 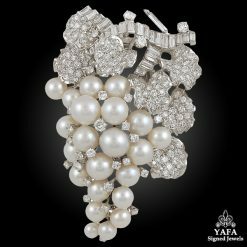 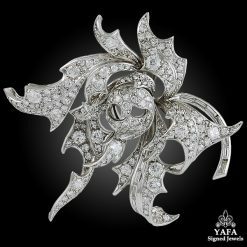 A 1980’s Van Cleef & Arpels diamond & fancy-coloured diamond brooch, designed as a brilliant-cut diamond flower blossom, centering upon a vivid yellow dimaond pistil, flanked by two yellow diamond ecrusted leaves with baguette diamond accents. 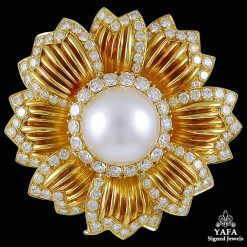 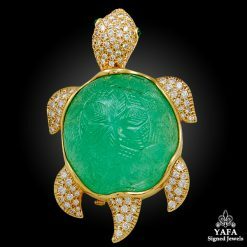 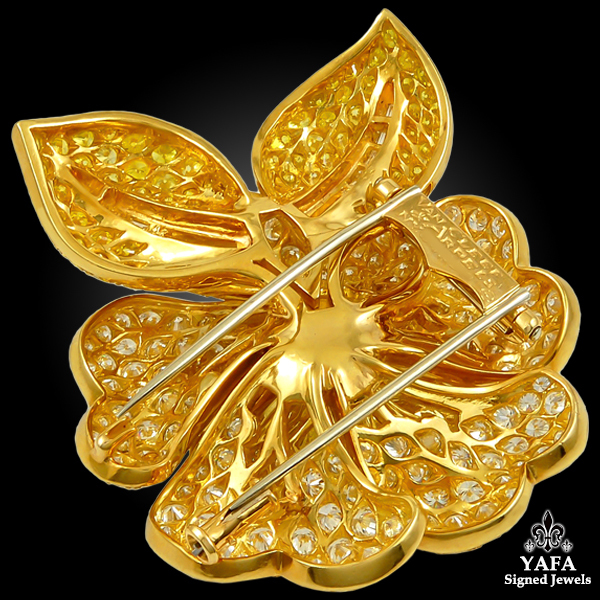 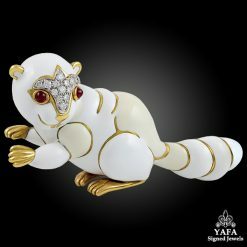 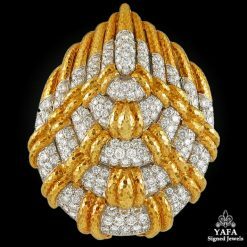 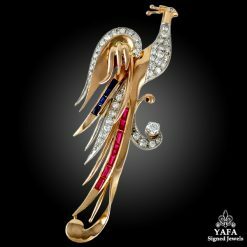 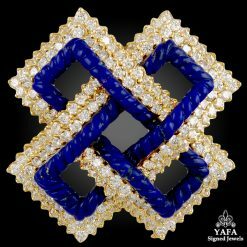 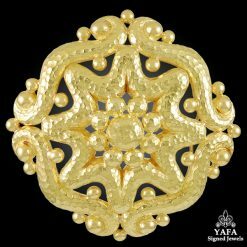 The pin is mounted in 18k yellow gold, and set with approximately 15 carats of diamonds. 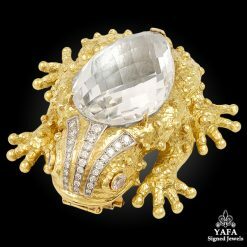 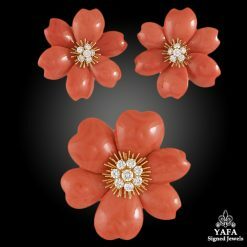 Signed Van Cleef & Arpels, and numbered.